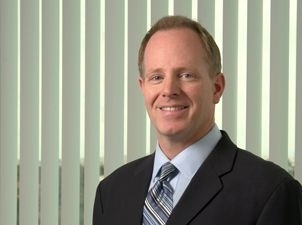 Scott J. Menghini serves as the Managing Partner of Fitch Even’s San Diego office. His practice focuses on patent portfolio development and management, patent prosecution, freedom-to-operate analysis, infringement and validity analysis and opinions, and intellectual property due diligence. Scott’s clients comprise small, midsized, and large private companies and public corporations. He is actively involved in the development and implementation of intellectual property strategies for several high-tech companies. Scott works with in-house counsel to develop and streamline process and workflow solutions that make efficient use of in-house counsel time and inventor resources and facilitate consistency in communications and work product. Scott has extensive experience supporting clients during product design and manufacturing to ensure freedom-to-operate. This includes assessing patent landscape and identifying white space to determine opportunities for patenting, determining patent scope, guiding product development, and preparing infringement and validity analysis and opinions. In addition, clients rely on Scott for counsel on intellectual property and business strategies, patent interference proceedings, patentability opinions, and litigation support. Scott has also served as local counsel in Federal District court cases in the Southern District of California for firm clients. Scott is a member of Fitch Even's Executive Committee. Works with in-house counsel of a top Fortune Global 500 company to develop strategies to protect families of inventions and to develop processes to make efficient use of in-house counsel time and inventor resources and facilitate consistency in communications and work product. Represented inventor by researching and analyzing current social networking industry, developing patent portfolio for potential industry-wide assertion, supporting litigation and licensing program, and successfully assisting in brokering patent portfolio sale to leading social networking company; portfolio used by acquirer in litigation. Developed patenting strategy with in-house counsel, business managers, and key inventors for several large families of inter-related inventions for a large company, and assisted in the execution of the patenting strategy, resulting in portfolios of patents that have received public and media attention. Assisted private company in developing patent portfolio essential to business of company and securing large private financing. Represented start-up company to develop and license patent portfolio to large corporation. Negotiated and obtained patent license agreement in which client licensed patented technology to large company customer to strengthen business relationship and increase sales of core products to customer. Negotiated and obtained various settlements regarding the use of company trademarks relative to competitor brands. Represented client in developing and implementing freedom-to-operate procedure for new product development and product release in patent-dense industry with aggressive competitors. Represented charitable organization on a pro bono basis, assisting in branding strategies and obtaining several trademark registrations. Represented client in the development of continuation patent family to cover competitor products; patent family planned for use in enforcement against competitor. Represented several start-up companies in creating internal procedures to encourage invention disclosures, including forming intellectual property review committee with guidelines for filtering and approving inventions having sufficient business value to patent. Represented client in developing innovative strategy to provoke interference to attempt to remove threat of competitor patent. Assisted client in successful outcome in an interference before the U.S. Patent and Trademark Office. Client was awarded claims at the end of the interference. Obtained stay of litigation for client defending patent infringement lawsuit pending the outcome of reexamination before the U.S. Patent and Trademark Office. Represented client in developing strategy to provoke interference to attempt to remove threat of competitor patent.